Create more spaces that weren't there before, save a tonne by creating you're own furniture out of cardboard and watercolour tape. You'll find several nifty tricks and tips here and in following instructables about how to design your own cardboard furniture. Some pieces can be completed in a day or two, depending on your design. I came across Eric Guiomar's DVD titled How to Design Cardboard Furniture by Vinestreetworks, then his first book, and then this instructable was born. Here's some new techniques you can use to design uniquely shaped furniture. New! Eric Guiomar's new pdf book part 2 is available. In this instructable, I demonstrate how I made an extremely sturdy three-storey book shelf made of six ply cardboard. Simply follow the same principles to create any design you like. Check out books and catalogues for inspiration. The first cupboard I planned to make was a Chinese style black and gold one. In this instructable the same methods are used for every type of object you plan to make. I will show step by step techniques of how I made a craft cupboard to store my knicks knacks. So now you've figured out you basic construction. You will be surprised at the strength of your cardboard structure. This cupboard below holds up to 80kg of folders. After 3 months its still standing! Look for clean cardboard thrown away in electronic superstores. Large complete pieces are ideal - the size of a refrigerator or plasma tv. I clean any visible dust with hospital grade 90% alcohol. Let dry. You will need to work out the measurements for thicknesses for each layer ON PAPER. 6-10cm is ideal space between each LAYER. Thicker ply of cardboard is definitely going to make aa stronger cupboard or chair or table. In one structure I used 2-ply cardboard other times 3-ply. When cutting the shapes of the cardboard use a simple craft knife. Slice 3-4 times over the line you've drawn without using pressure. You'll be surprised how effortless it is compared to working with WOOD. Sharpen your knife often. I used the side of brick and its brillant. Accuracy in MILLIMETRES is essential, or your structure may collapse. (Seriously.) NOTE THE DIRECTION of your cardboard. If you cut on the vertical GRAIN each piece will be stronger than if you cut a horizontal grain. Now you will cut out the silhouette shapes. The middle one and the front one you will cut out the spaces for the shelves. The 3rd silhouette will not be cut out inside as this is to be the BACK of the shelf. In the pictures here, some like to cut 4 silhouette shapes for extra support. 3. The width of each strut will be the same width as the THICKNESS of each layer. A. Cut and measure your strut pieces. You will only need ONE silhouette to cut struts. This is the MIDDLE SILHOUETTE. You can create more than 3 silhouettes for extra strength for a long chest of drawers for example. Label each SILHOUETTE : top and bottom, front and back. 4. Put weights to add slight pressure so you can tape the pieces more tightly. I used coloured sand in zip lock bags. A. Using very STICKY DUCT TAPE attach the stuts at the top, bottom, middle. This takes a while to do, but its relaxing exercise. Warning, you must be very accurate in measuring and assembling at this stage or structure may collapse because edges do not meet exactly. The other main cause of collaspe is if the ply is less than 2 or 3 ply or the direction of the stripes on the cardboard for the sides are horizontal instead of vertical. With my first Chinese cupboard, I had problems because of a slight measurement off here and there. Use a FILE or RASP to even edges sticking out. 1. Measure your depth of each shelf space. Cut out accurately using 1 PLY cardboard for the roof and bottom shape to insert into TOP SIDES AND BOTTOM of inner space. 1-2 ply thick is enough for inside. The strength lies in the 3-PLY silhouette frame and internal skeleton. 2. Sticky tape all joins carefully with duct tape for good quality strength. Aim for a FLAT and SMOOTH edge. This helps when decorating with paper to sit nicely. When you paint with the wallpaper paste + ACRYLIC PAINT I found when I put too much water the cardboard collapsed. Minimal water is recommended, or paint in the sun, small sections at a time. 1. Cook until translucent. Keeps in fridge 3 days. This is used instead of PVA for decoupage or papier mache techniques. 1. Mix the above recipe with the milk paint formula below and add gypsum / whiting / chalk and 1 cup of PVA glue extra. It will look the mask and bowl pictures below with the finish, having a nice smooth wood-like appearance. 2. If you use rabbit sizing instead of PVA it needs to be cooked at medium heat. Whisk until smooth. First soak the granules overnight to 15 parts water. Do not boil. 3. Tempera powdered painted can be added for colouring. Gesso sticks best to a rough surface and may crack when painted. 4. (I made a chalk board with this Gesso mix formula and it was extremely smooth). 5. When dry sand with fine sandpaper. The suface can be painted, inlaid with metal or anything you like. Stir in enough skim milk to hydrated lime to make a cream. Add balance of skim milk. Now add sufficient amount of powder pigment to desired color and consistency (Pigment powder must be limeproof). Stir in well for a few minutes before using. For best results continue to stir throughout use. Apply a thin layer milk paint with a cheap natural bristle brush. Allow project to dry sufficiently before applying next coat. Extra paint may be kept for several days in the refrigerator, until the milk sours. Double or triple the recipe for paint. Allow to dry thoroughly 3-4 hours before use. For extra protection, give paint a coat of oil finish or sealer. Color may change - test in inconspicuous area. Mix hydrated lime with water to make a paste. Add to cottage cheese and stir in well. Leave for few hours - the cheese lump will dissolve completely. Select some powder pigments and add to solution (Pigment powder must be limeproof). Add more water if too thick; powdered skim milk if too thin. Strain if you want a fine paint (old nylon stocking works well). The door imitates the internal structure of a single piece of 1-ply cardboard. 1. Cut 3ply struts into strips that nearly reach the edge of your cupboard door. 3. Cover the door and edges to create a sturdy box door. 4. Decorate the surface of door then glue a piece of balsa wood / masonite the size of a hinge. Drill holes for screws. The wood provides solid support for the hinge. I experimented with fabric hinges rather than metal ones. 5. Attach a hinge to cupboard and door. Attach a magnet or velcro. You'll be so inspired by these Design Ideas below! http://www.vinestreetworks.com/cartons.html and click under the title MEET THE CARTONNISTES! Hi I have an instructable for this one with video. The measurements depend on the longest pieces of cb you have at hand. I think I used a box for a fridge from the recycling bin outside the hardware furniture store. We need to check the 'grain' (way the inside tubes run) should be north to south for the strongest structure. AFter all the years of building the lovely the circular shaped one, it is still super strong. I made another version which I've not made an instructable yet, with doubled wall thickness. This was pretty durable even though I didn't paint it or cover it with tissue paper. Hope this helps you, feel free to ask any questions I'll try to help. This looks really creative and interesting indeed. 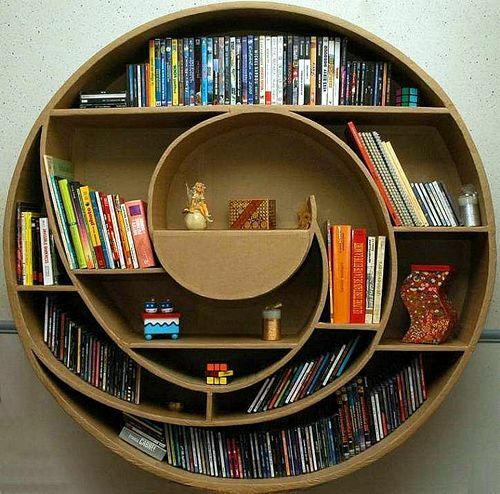 I bet with creativity, you can create almost any type of furniture with just cardboard alone. However, I wonder what is the maximum weight load that it can truly withstand as most of our household necessities are quite heavy to accommodate. Nevertheless, they provide convenience as they are lightweight so you can easily move them around. Should you intend to move out, you do not need to hire furniture removals to help you move bulky furniture to storage or elsewhere. Does anyone know how to get Eric Guiomar's DVD? vineworks.com doesn't seem to be a valid url anymore. The only thing I've really come across is a video rental for smartflix.com. You're right, the screen goes blank! I found out Director (of Eric Guiomar's DVD and owns Vinestreetworks.com) Gregor Scheer he's a forum moderator at NewEnglandFilms.com you might be able to contact him there. On July 3, 2011 I went to a craft museum in Los Angeles. There was an installation by an artist named Ann Weber. She had created huge "forms" from cardboard strips, tape and staples. The staples were obvious too. They had odd shapes, and some were "grouped",(The Wedding Group, all painted white) some were painted and some unpainted. I couldn't believe my eyes that someone would use cardboard for "forms" and consider it "Art"! And she had a video showing her having her "forms" manufactured. Just goes to show you! Agree its fantastic! However, I tried guessing how it was made and tutorial is here and another method here. 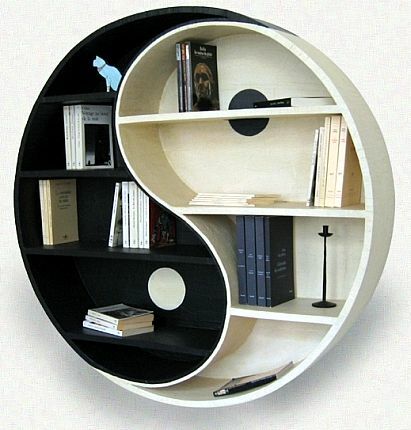 I really like the YinYang shelf and have followed the link a few of you have posted hoping to find directions on how to make it. The site is in French and I don't see any directions. Anyone know where I can get instructions for this? If you have Google Chrome there is an option to translate the site to english. how can get info on how the violin was made? this ible is the first I saw. I was searching for furniture made with cardboard. It's your fault , now I am a Instructables addict . LOL ^ - ^ very nice of you! Tres bon, very nice work. I've got a couple of old books around here on cardboard/corrugated construction, furniture and housing. I'll have to go through them again. I do remember them suggesting, for a very strong panel, to glue layers together with the corrugations of each layer at right angles to the last layer, like plywood. Thanks! just noted your comment.. I'm experimenting with constructing the woodwork way, in my Mushroom Bookshelf and Circular Shadowbox. I think it works well on a small scale, (see image curves add strength to a structure) but I'm not too sure the woodwork construction method is strong on a large scale though. Perhaps external struts will strengthen a furniture piece.